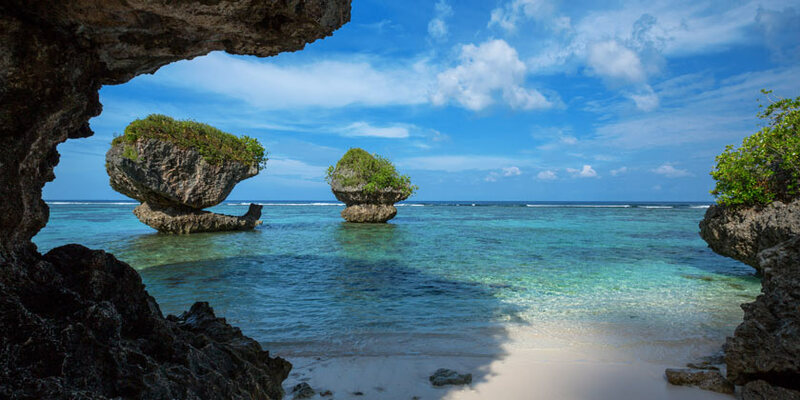 Although known mainly for its military base, the U.S. territory of Guam has a lot to offer, especially along the south shore’s pristine beaches. The 212-square mile island has a tropical marine climate, making it very warm and slightly humid year-round. Visit UnderWater World Guam, one of the longest tunnel-aquariums in the world to see over 2,000 different marine animals native to Guam and the nearby Marianas Islands. Beautiful performers, gorgeous costumes, and over 30 fire dancers with an unlimited BBQ buffet. Certified captains and crews who will share the story of the river flora, fauna, and local wildlife. Resort info: Fresh breezes, soft music, and natural lighting will greet you in the spacious atrium at Sheraton Laguna Guam Resort. Resort info: Overlooking the sparkling turquoise waters of Tumon Bay, The Westin Resort Guam offers guests an escape to paradise.